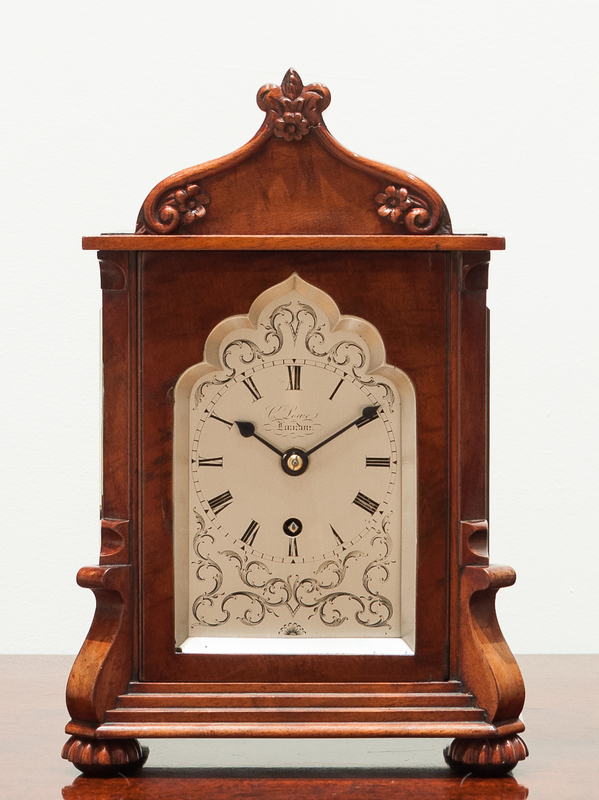 Height:	11.5" Width:	8" Depth:	5"
A small sized mahogany mantel clock by Charles Lowe of London. 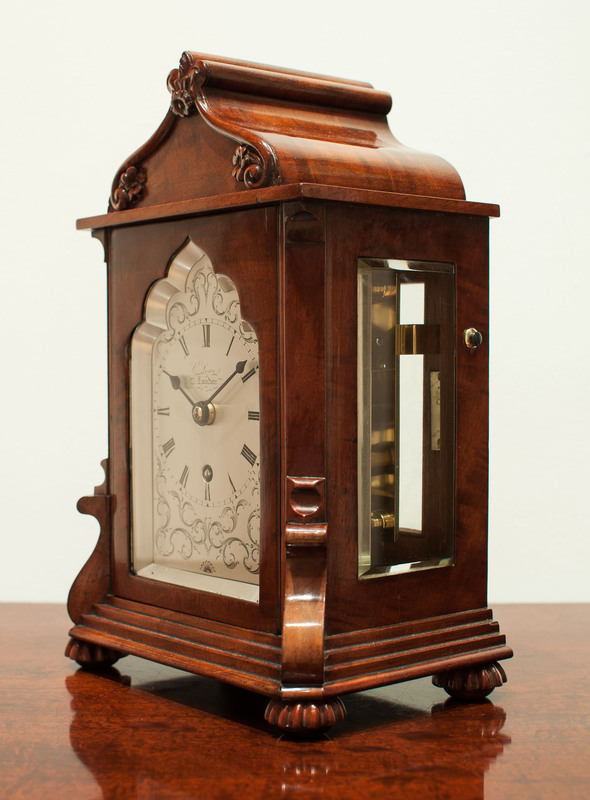 The small sized “Gentleman’s Library” style case veneered in beautifully figured curled and fiddle back mahogany, constructed on a mahogany carcass. 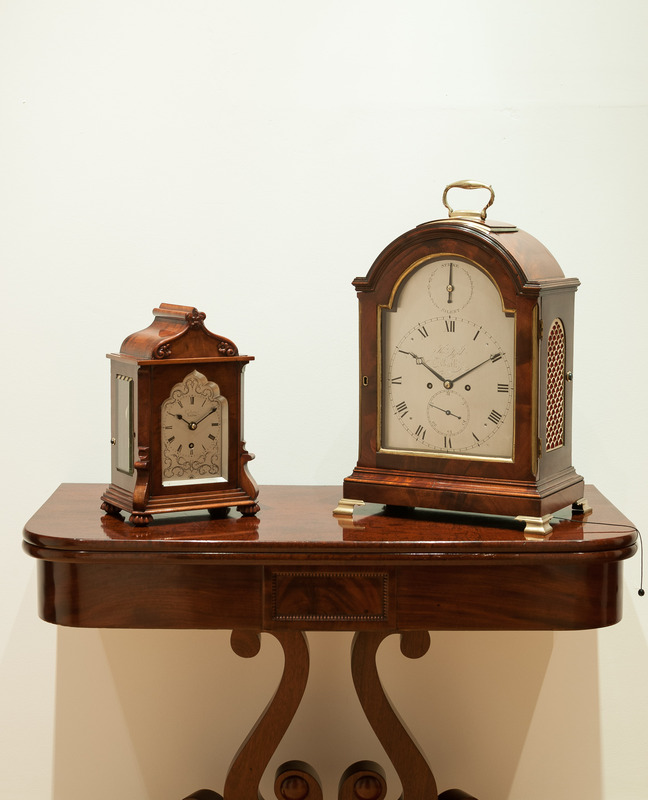 The case has excellent patination, with a stepped moulding to the base and well executed carved gadrooned bun feet. 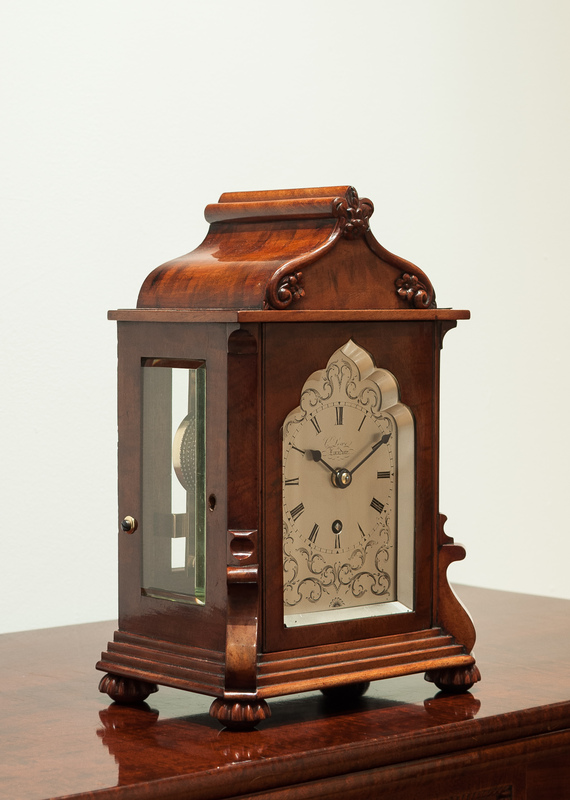 The shaped door with a pointed top flanked by canted corners with finely shaped corbels to the the bottom. 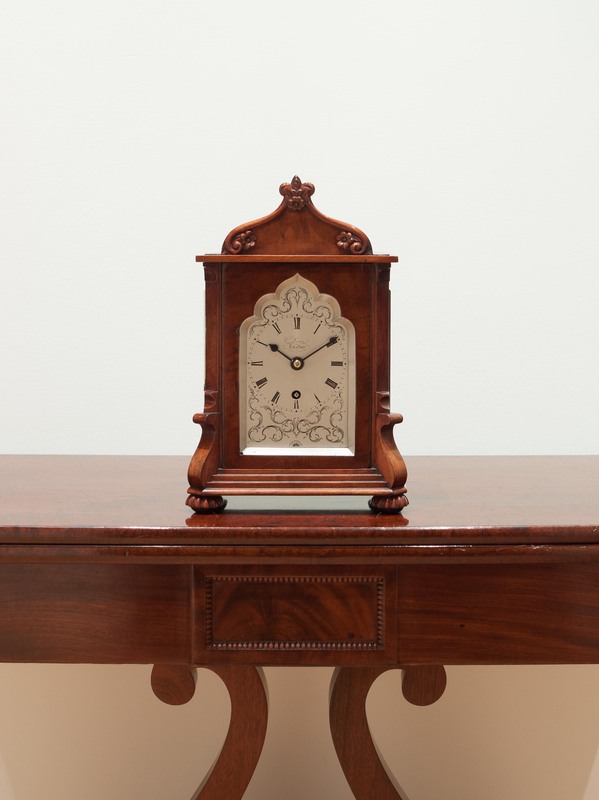 The shaped and fluted top is of the finest fiddle back mahogany and the front of the pediment has finely carved rosette decoration. The sides with the original thick bevelled edged glass viewing windows and the rear with glazed door. 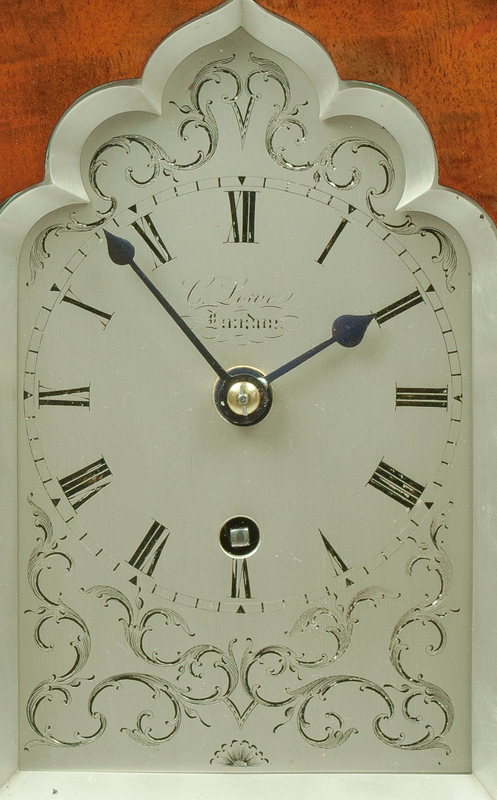 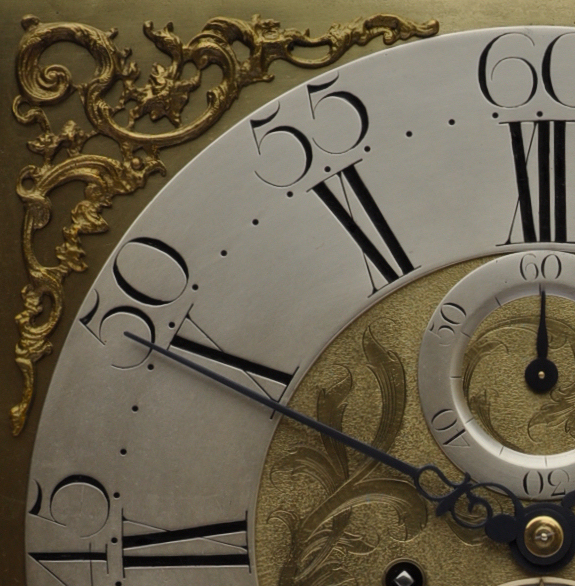 The shaped silvered brass dial with fine foliate engraving to the corners, signed Chas Lowe, London to the dial centre, bound with a cast brass silvered sighting mask. 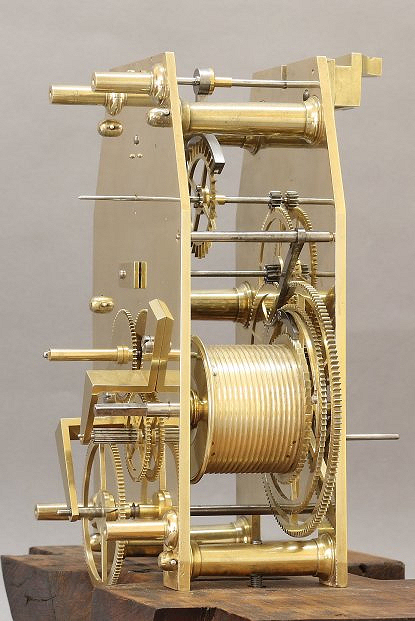 The fully restored high quality chain driven single fusee movement of eight day duration, united by knopped pillars, with the original anchor escapement. 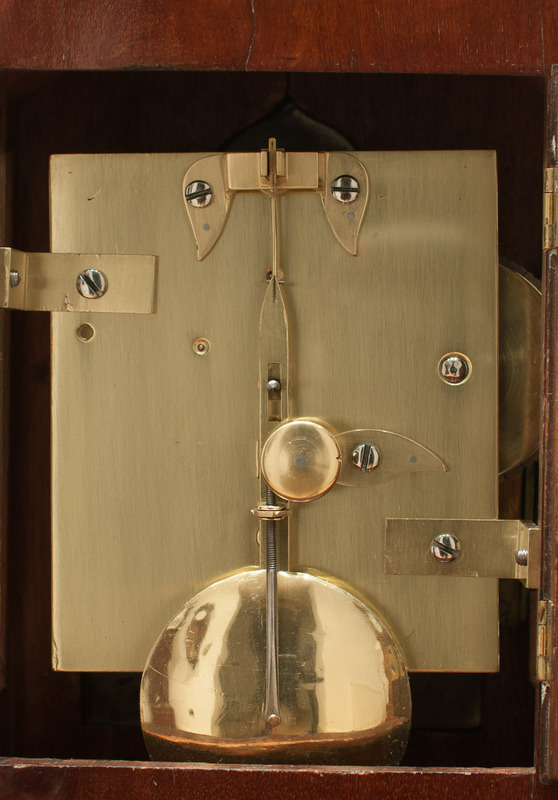 Heavy brass bob pendulum, with London style rating adjustment and knurled thumbscrew pendulum restraint.